The trend of Korean BBQ has never been more popular than now. 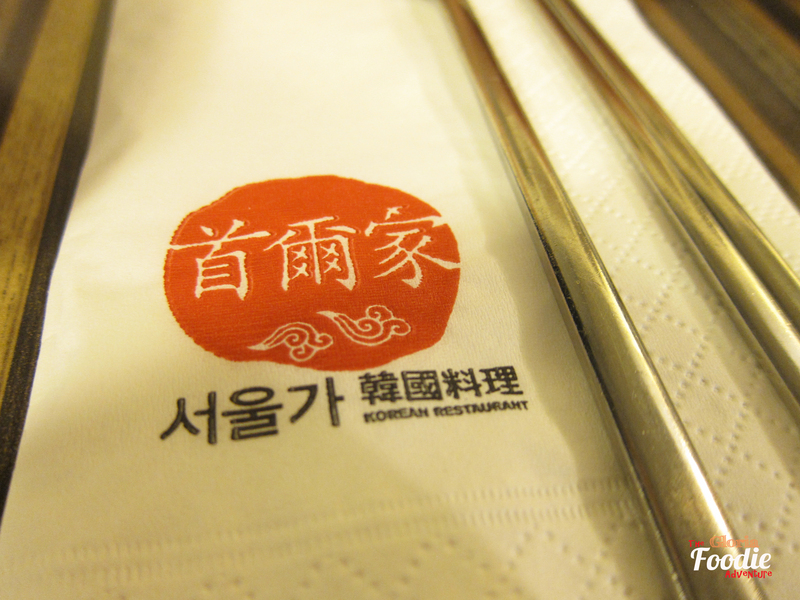 After a few Korean Drama promoting the deep-fried chicken, Korean Cuisine is getting more popular in town. My friend who loves Korean food came with me to Seoul House and had a happy night due to the hospitality of the restaurant owner. We ordered a set dinner for two and really appreciated the server to change the rice into kimchi soup for us. 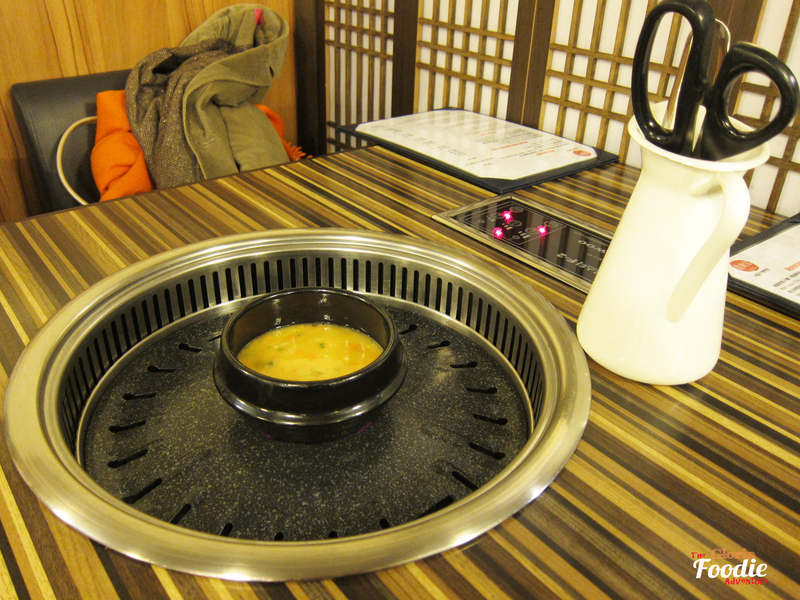 Korean BBQ style egg is one of the items that you won’t miss when you go for Korean BBQ. 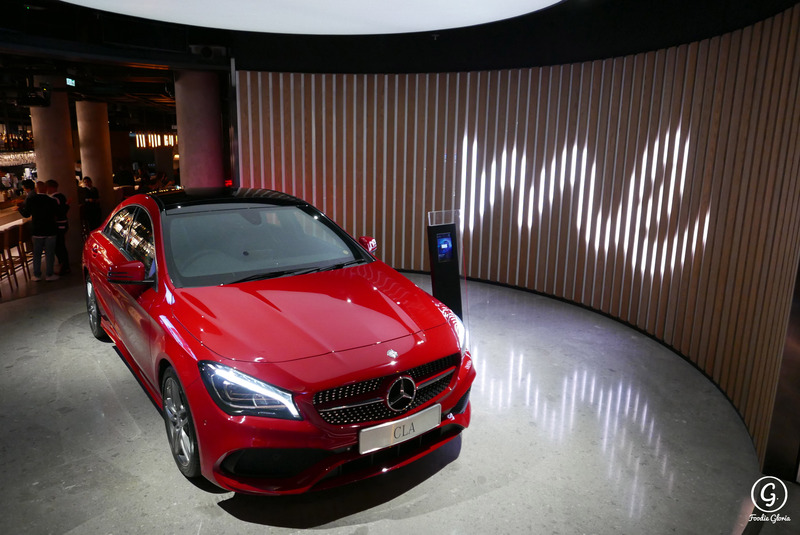 Here you may find a different way to enjoy it. They put it into a small pot and placed at middle of the pan. 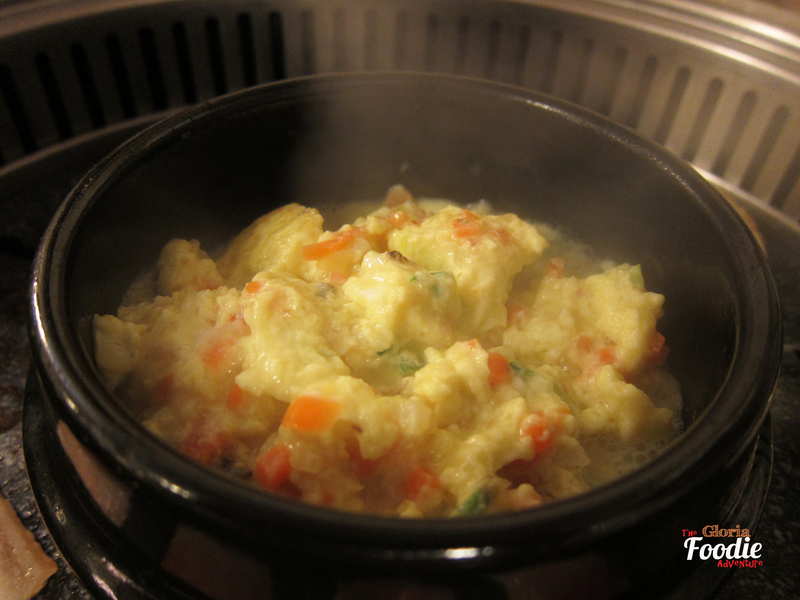 Some vegetables were added into the egg and it tasted so juicy than the one cooked around the pan. 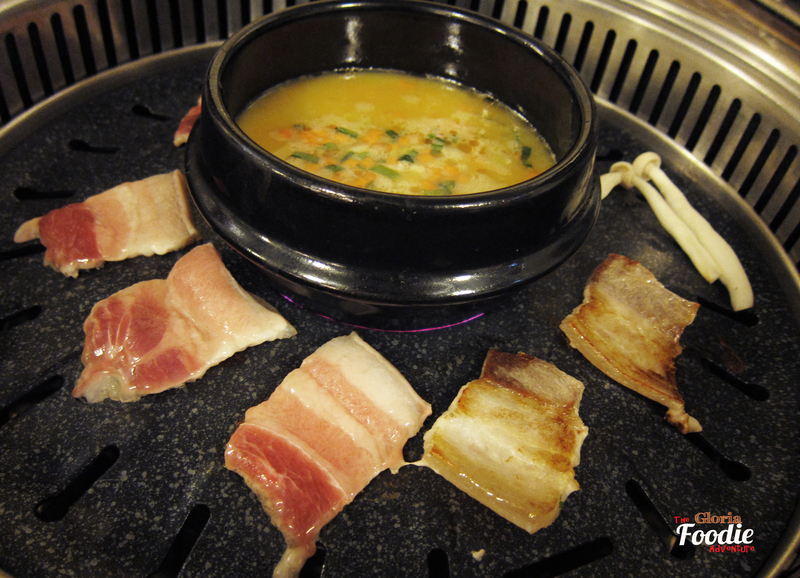 To talk about Korean BBQ, how can you miss the cattle rib meat. It was really well seasoned and smooth. Even if you placed it on the pan for a bit too long, it reminded the tenderness. Another that I would recommend was pork belly. With the balance of fat and meat, the pork smelled so nice and fresh that you won’t put lots of seasoning. 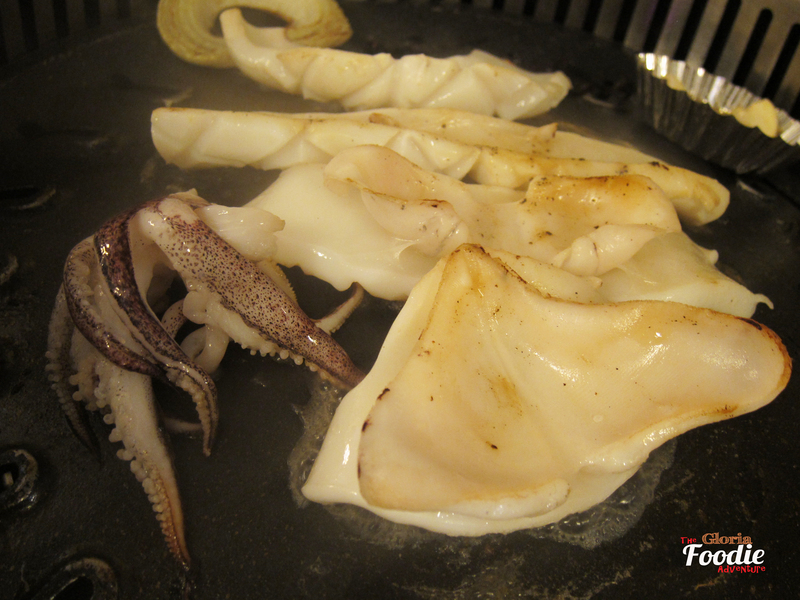 Fresh squid was one of the items on our set dinner menu. It came as a whole piece, sliced into strips. We had no ideas how long it had to be cooked. The restaurant owner was so kind to help us cook it. The squid curled quickly once it was heated. We were stunned and the owner quickly added some lemon juice to it to keep the freshness. Of cos there would be some vegetables. 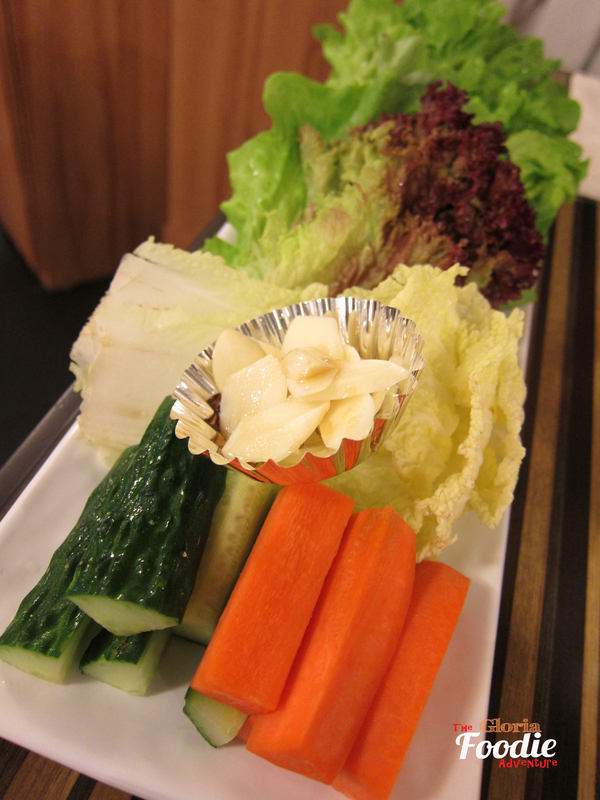 The vegetables basket would provide you a variety of cabbage and cucumber. Put some chili paste and sauce to the beef and put on the cabbage to eat. Would be the best way to eat it. 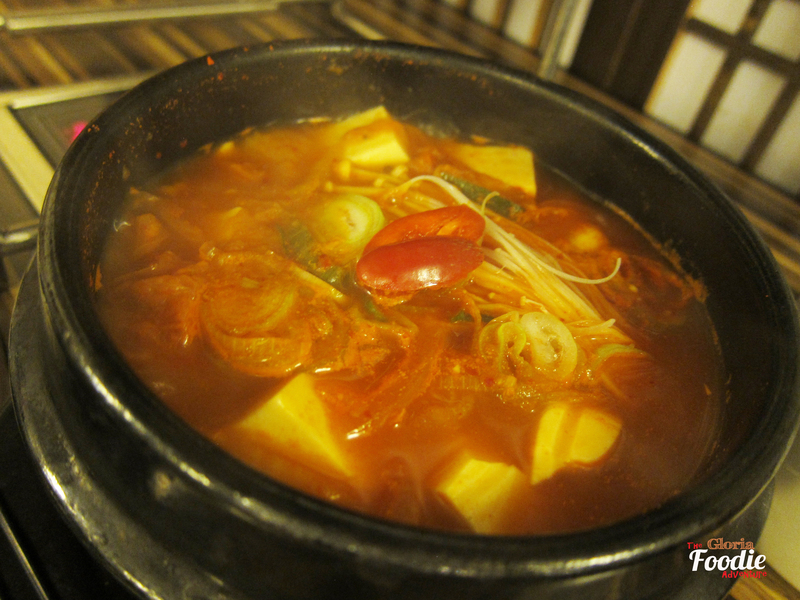 The kimchi soup contained lots of tofu and the soup tasted very good. Simply match it with rice and it goes perfectly well. 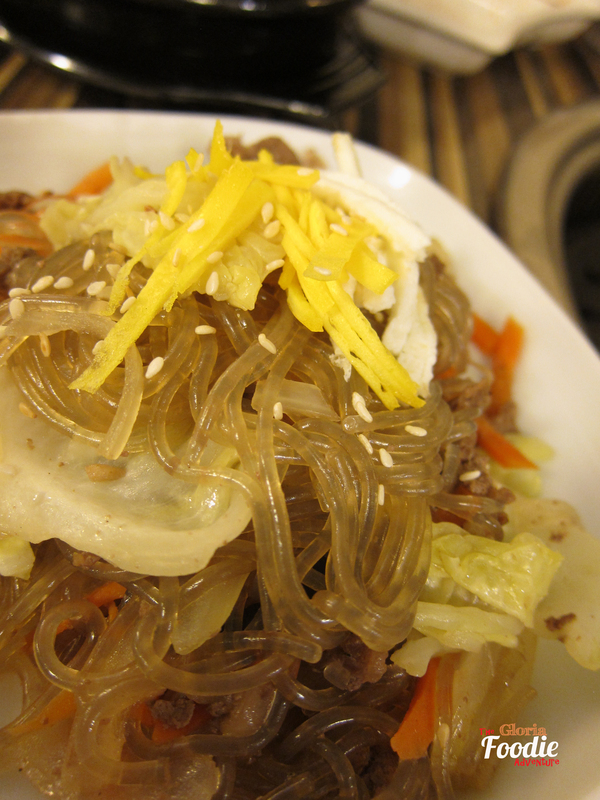 Fried Korean style rice noodles. You may have tried different version of fried rice noodles in Hong Kong. 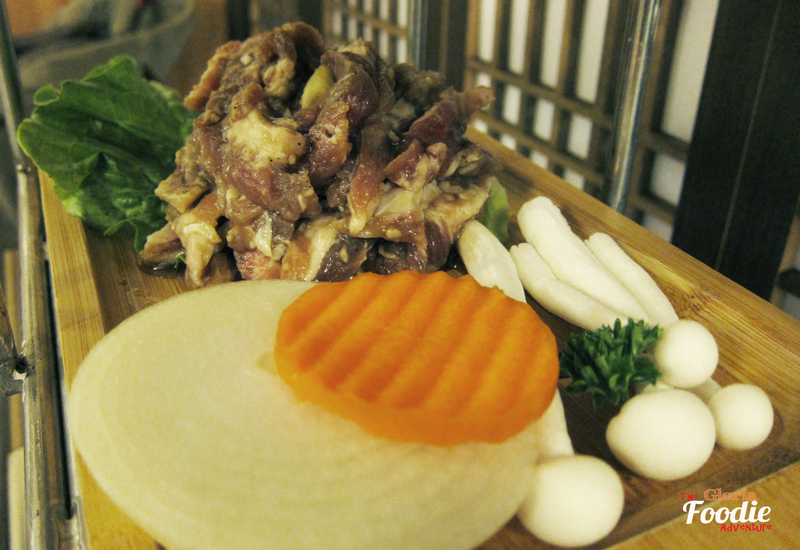 Seoul House gave you the simplest one with lots of sliced vegetables, eggs and pork . Adding some kimchi made it more delicious. Will definitely return not only for the good food but also good service. Sichuan House – Are you hot enough?